The important memorandum has been arrangedan official ceremony in this historic school. 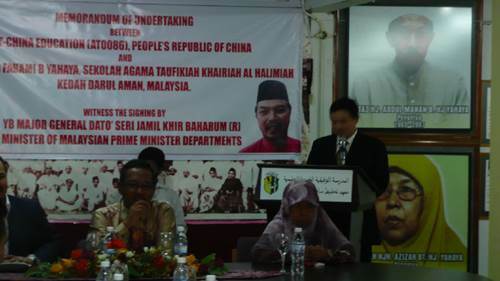 AT-China Education staffs inMalaysia all attended this ceremony since a minister was invited to be awatcher. To pay the respect to minister, everybody arrived one hour earlierthan minister. While waiting for minister's arrival, thepersons from both sides start interaction by greeting, discussing this event, takingphoto...etc. The teachers in this school were chatting about their background,students and religion. The interaction is so successful that everybody feeltime flees. 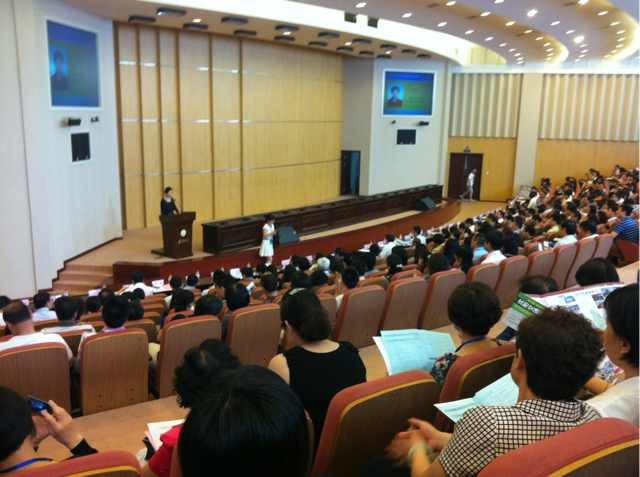 Once minister arrived, AT CHINA EDUCATIONdirectors walked out immediately to welcome minister. The minister shaked handsgladly with them. The ceremony began once minister arrived. Both sides delivered the speech about this projects. Yi-Ping wasrepresenting AT CHINA EDUCATION. Then minister also spoke about this project. 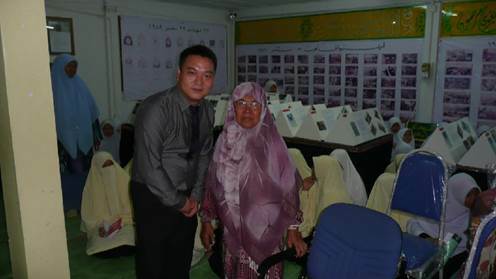 He honored the achievement of China and encouraged these students tostudy in China. The signing of menorandum was afterminister's speech. 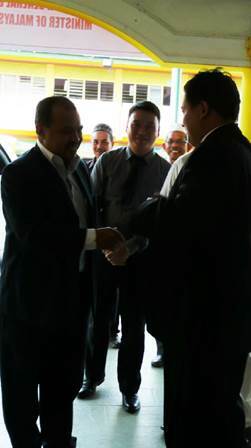 Both signed the memo as usual then minister had to sign as awatcher. The ceremony ended with glee and unexpected feast. 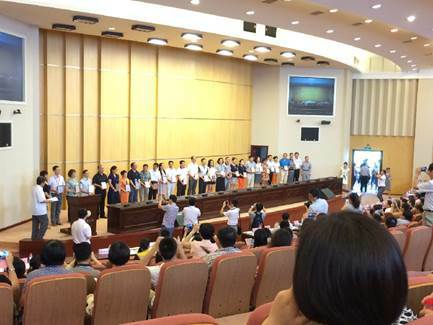 On 23 July, the 2014 Annual Meeting of China Association forInternational Education (CAFSA) held in Liaoning University. 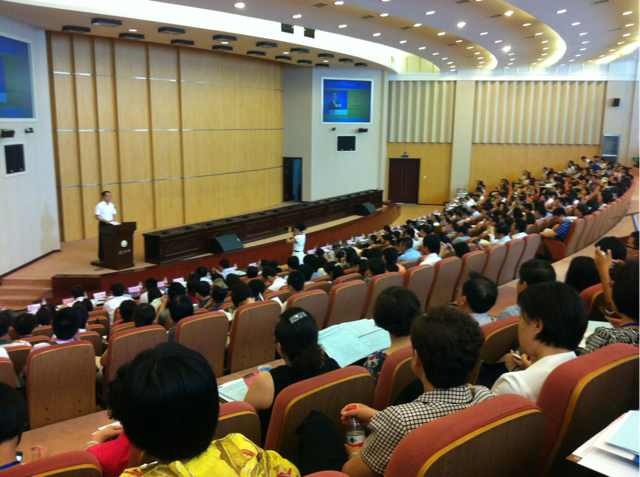 Leaders of theInternational Department of Chinese Ministry of Education, domestic experts andscholars, education department of each province, all about 600 educatorsparticipated in the meeting. In the first session, the president of Liaoning University, ZhouHaobo, Vice director-general of Education Department of Liaoning Province, LiuJinghui, the secretary-general of China Scholarship Council and Fangjun, vicedirector of International Department of Chinese Ministry of Education gave thespeech, present the achievement that have been got in the past year and pointsout the work direction of 2015. In the second session, award ceremony was held to excellenteducators and departments that work for International Education. Leaders of theInternational Department of Chinese Ministry of Education expressed highlyappreciation to award-winners’ efforts in the work. In the afternoon, Chen Long, vice president of Jiangsu University,Wang Luxin, deputy party secretary of Beijing Language and Culture University,Wang Qi, vice president of Shenyang Aerospace University and Wang Qinghe, vicepresident of Changchun University of Science and Technology made a speech onhow to promote university internationalization based on their own workexperience. AT0086 also attended this annual meeting and shared experience onhow to increase international enrollment and optimize the structure ofinternational students’ country of origin, based on the experience of Europeanand American College, AT0086, and the unique environment of China as well,which got highly appreciation by the university.